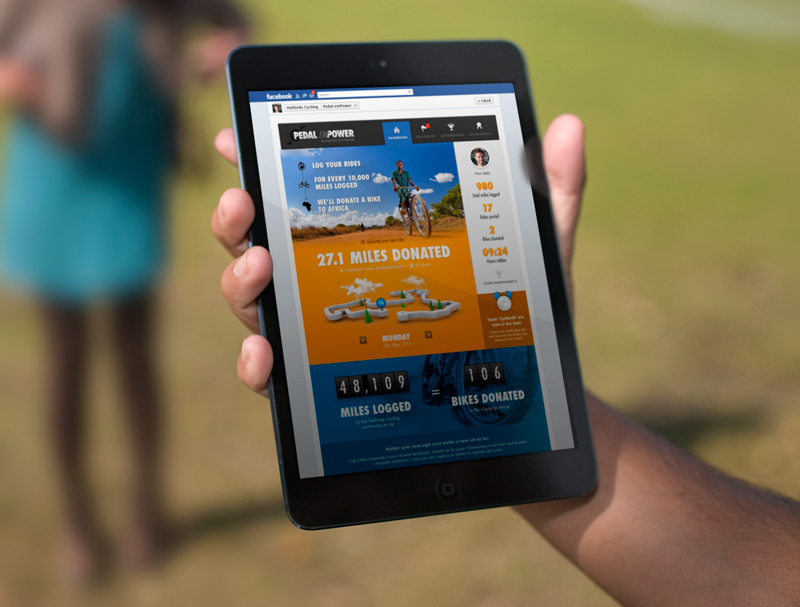 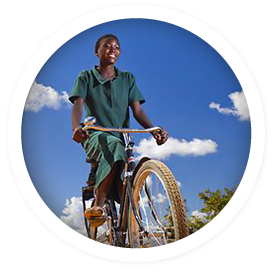 A dynamic Facebook charity app concept for Halfords that would allow enthusiastic cyclists to track their bike rides, log the miles they cycled and for a certain amount of miles logged Halfords would donate a bike to Africa. 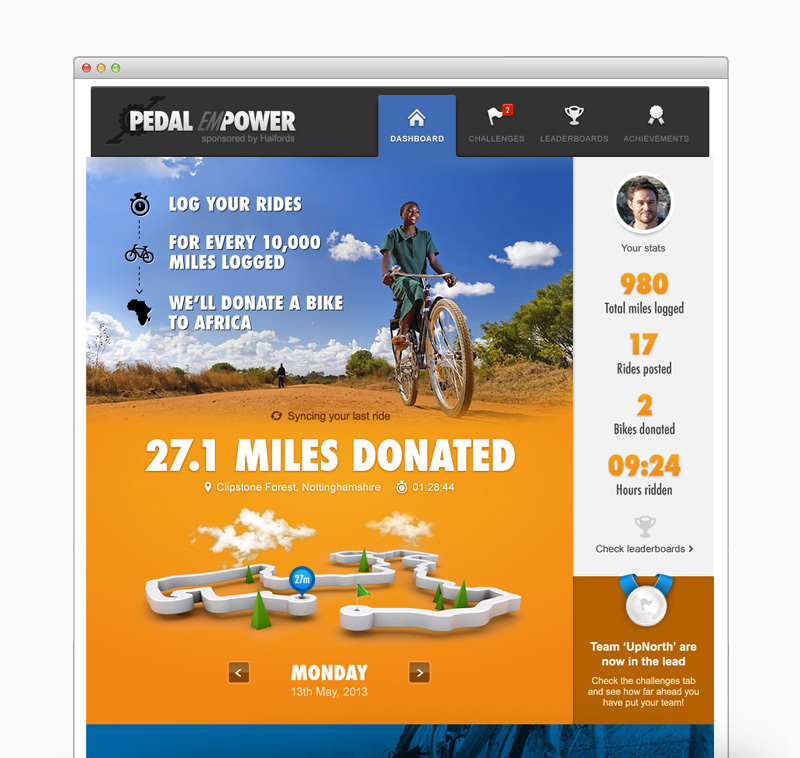 As well as logging your rides, the app gives participators achievement badges, displays leaderboards and allows people to team up to add up their rides as a group. 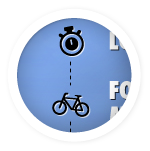 Weekly ride challenges motivate users to keep using the app.